There was a time when all the family used to sit around a TV and enjoy the broadcast. But now the things are changed. Latest lcd’s and even led’s have replaced those old square box shaped tv. 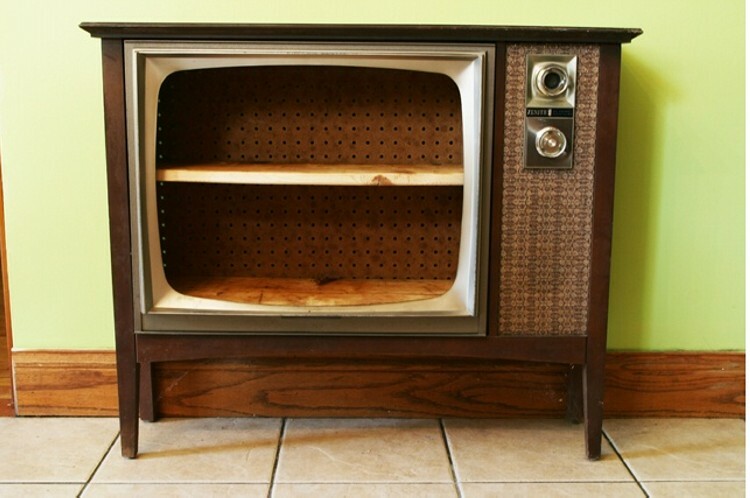 These TV’s are too useless to have a second thought about them. 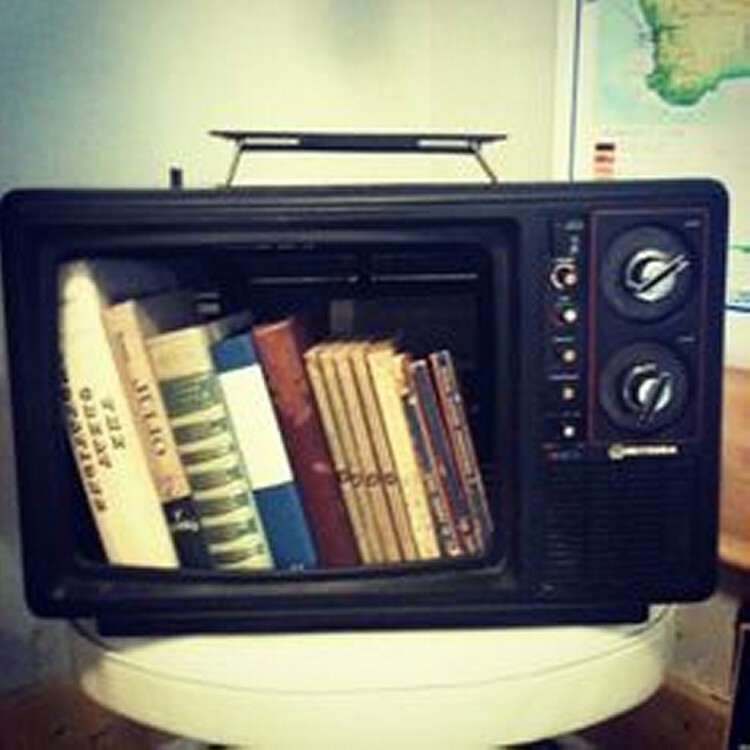 But if you are creative and crafts loving person, you could up cycle this old TV to a charming book shelf. Yes, a book shelf, you heard it right. Just change your way of thinking, start seeing things in a creative and innovative manner and trust me you could do wonders. A lot of dollars are spent on shelves which are multipurpose. Book shelves are also especially designed and decorated in accordance to the compatibility with room. 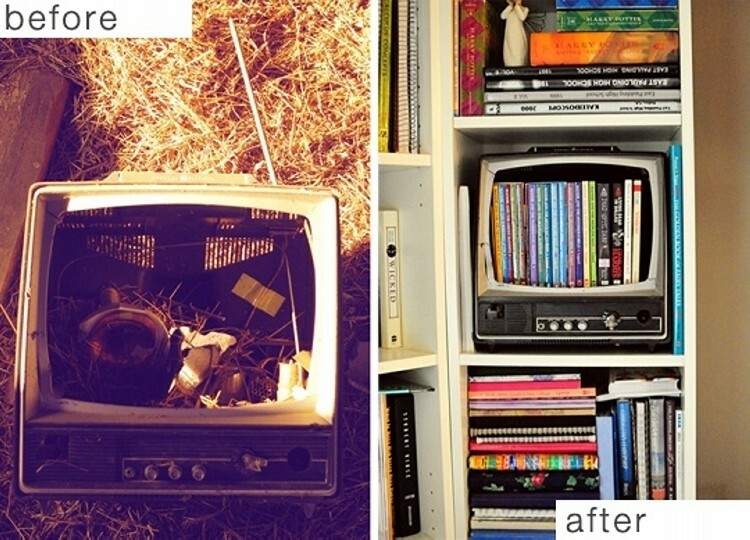 But you could up cycle your old TV to a bookshelf which is unique in its nature, artistic in its look, and economical as well. In fact it is going to cost you nothing. 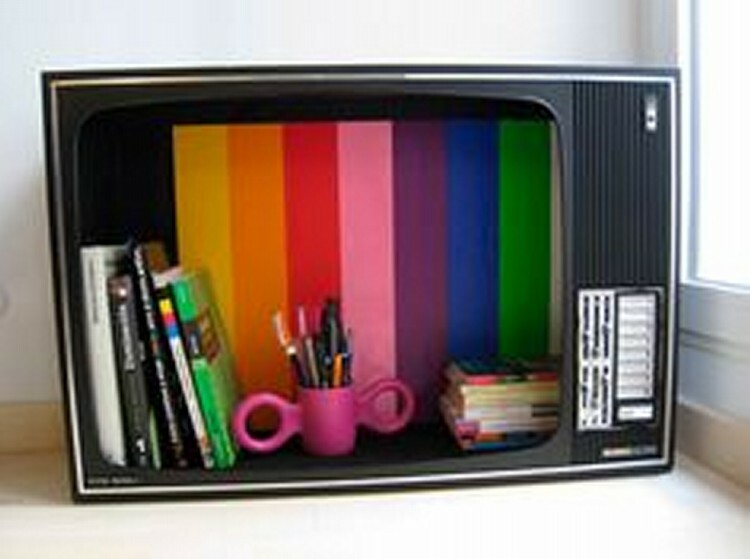 All you have got to do is just grab your old discarded TV, remove its front screen and inner stuff whatever this is. 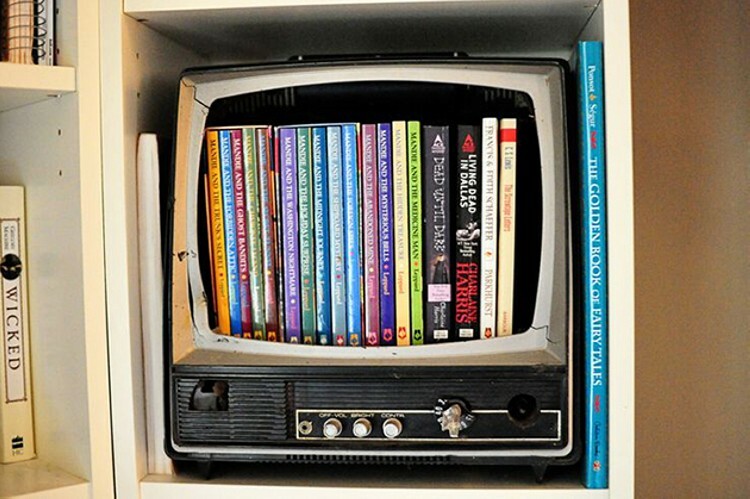 Just have the external structure or the body of TV, and now you can place your pile of books in this newly acquired book shelf in an arranged manner. Isn’t this an artistic addition to your home? Of course it is. 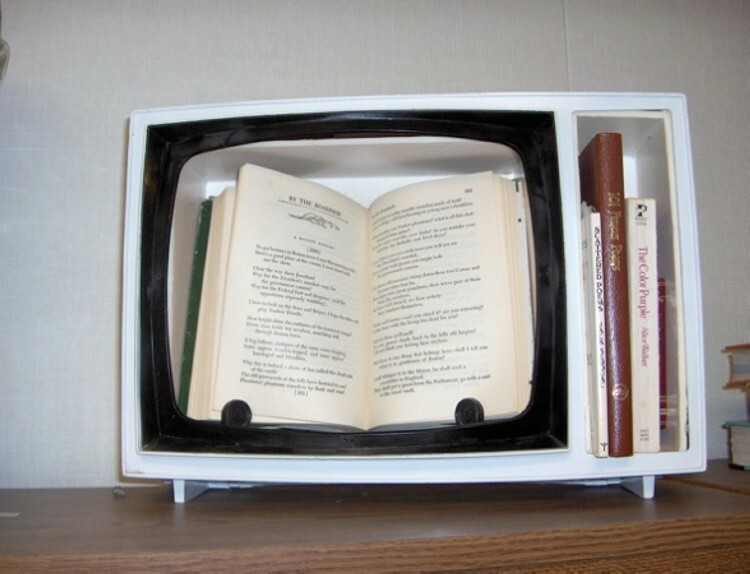 You can place your books in this up cycled book shelf horizontally, and vertically as well, just the way you like. 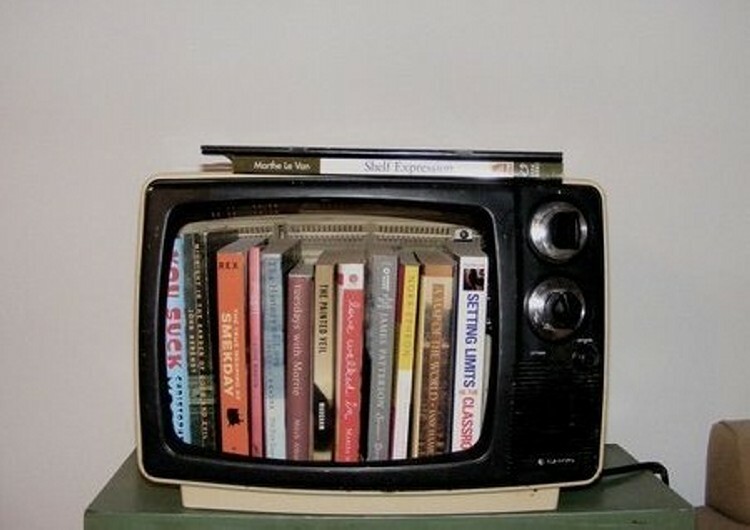 This inexpensive, stylish bookshelf, up cycled with old TV is at your disposal.